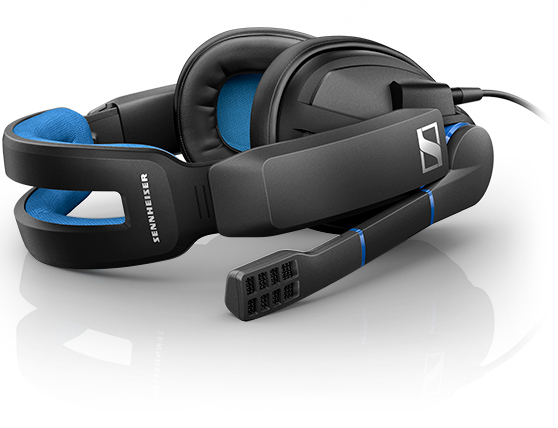 Sennheiser’s GSP 300, 301, 302 & 303 are the ultimate upgrade for gamers ready to level-up: Ultra comfortable memory foam ear pads ensure best-in-class acoustic seal while their broadcast quality noise-cancelling microphone minimizes background noise so you can stay immersed in the game. 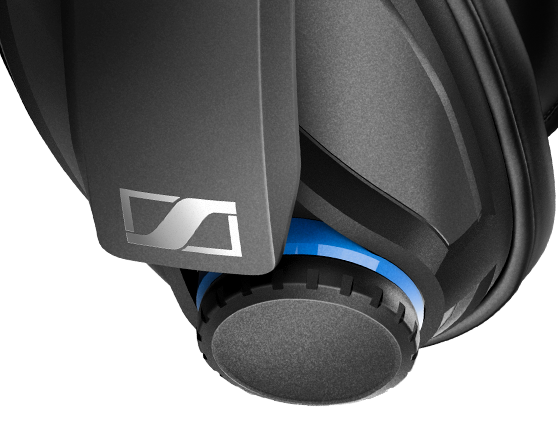 The GSP 300 Series uses Sennheiser’s famed acoustic technology to enhance every gaming session with even greater clarity and realism. We have stepped up the bass to add further intensity to the gameplay, so that you can truly experience the game to the fullest. 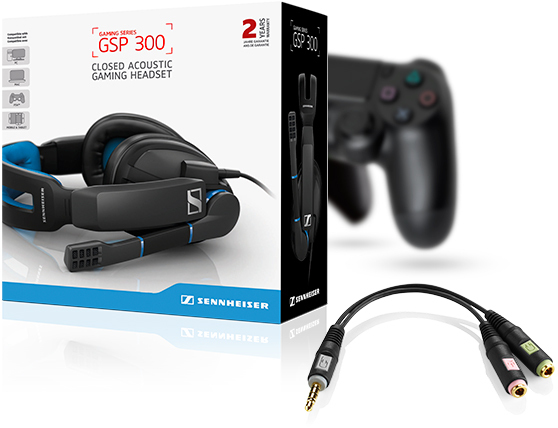 For those that take their fun seriously, Sennheiser has created the GSP 300, a closed acoustic headset in a new fresh design for gamers ready to level up. Fitted with luxurious XL memory foam ear pads, the new GSP 300 delivers best-in-class comfort and improved ambient noise isolation, leaving you undisturbed and focused during your gaming sessions. 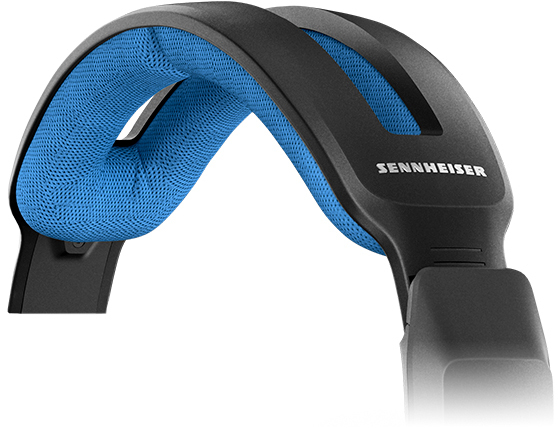 The GSP 300 is equipped with an aviation-inspired split headband which reduces pressure for the best comfort and fit even during long gaming sessions. The superior fit is further assured by a clever ball-joint hinge that makes it easy to perfectly angle the speakers to suit your face shape. For the ultimate team performance, the GSP 300 is equipped with a broadcast quality noise-cancelling microphone that minimizes background noise, and a short boom arm that cuts out breathing sound for clearer in-game communication. To mute, simply lift the boom arm and you're off the air! 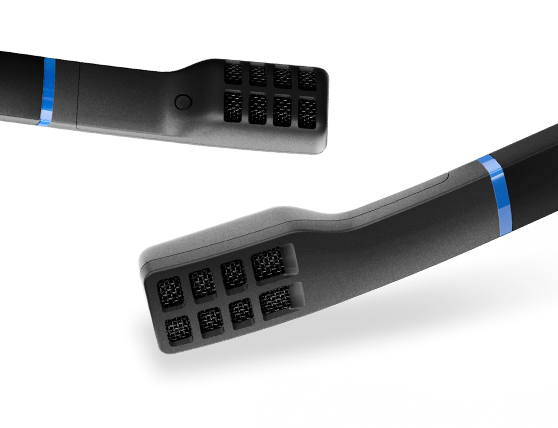 Durability and reliability are secured by the use of high-quality materials and extensive product testing. 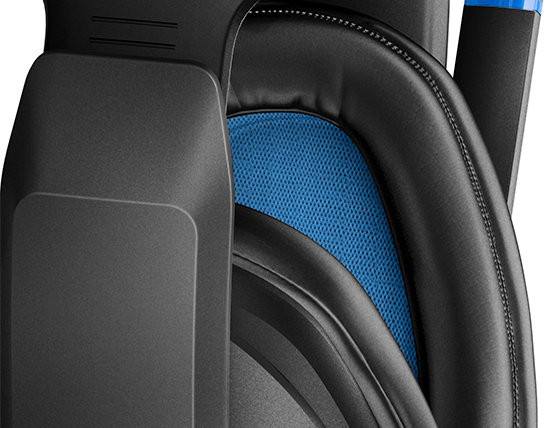 To keep your mind at ease, all of our gaming headsets come with a two-year international warranty. Thanks to the PCV 05 you can use the GSP 300 on multiple platforms such as PC, Mac, consoles, mobiles and tablets. Get ready to experience the game to the fullest.